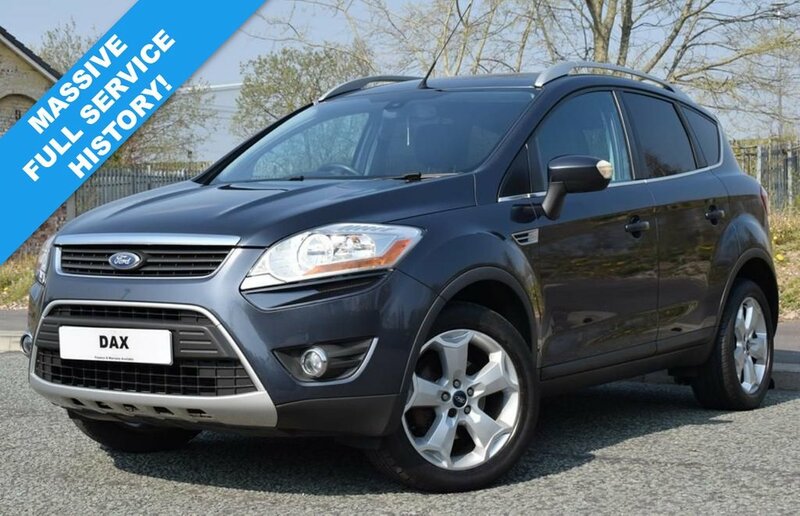 We Are Delighted to Offer This Lovely Ford Kuga 2.0 TDCI Titanium 2WD Presented in Metallic Sea Grey and Backed Up By a Comprehensive Full Service History and 2 Keys. This is a Lovely Example Finished With Titanium Specification. Full Service Intervals As Follows: 11712, 18934, 26780, 33022, 44193, 51808, 66434, 75350 and 82819. The Car looks and Drives Very Nicely Indeed and Will Be Supplied With a Fresh Service and a Full 12 Months MOT Offering the New Owner Maximum Peace of Mind in This Fantastic SUV. SPECIFICATION INCLUDES: DAB RADIO! BLUETOOTH! HALF LEATHER INTERIOR! CRUISE CONTROL! AUTO LIGHTS! PARKING SENSORS! HEATED WINDSCREEN! PUSH BUTTON START! 18 INCH ALLOYS AND MORE!